This star of david pendant is both beautiful and unique. Crafted from two triangles that overlap each other, each triangle has a line down its center with diagonal lines coming from the two sides. 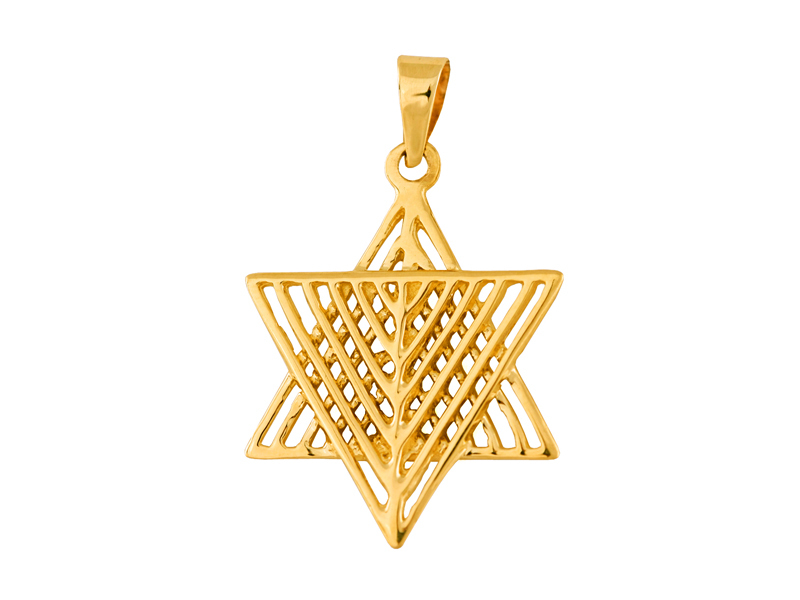 Pendant has the portrayal of a menorah within the Star of David, creating a distinctive piece of jewelry! It makes a wonderful choice gift for a bat/bar mitzvah, birthday or any other special occasion. Pendant is available in both yellow and white gold.